Going to the gym for the first time can be a daunting experience. I’ve touched on this before, but it’s something I feel so passionately about. The ‘trend’ of shaming people at the gym on social media really made this issue come back to the forefront of my mind. It’s so easy to tell yourself you ‘shouldn’t be at the gym’ because you’re unfit or don’t know what you’re doing. I’ve done it myself so many times, and the fact that there are people out there who actively want to make people feel this way is awful. Whatever your shape, size, ability or reasons for going to the gym, every single person who pays their membership has the same right to be there. Throughout my life, I’ve tried and failed to start the gym so many times, which has always been due to feeling intimidated by the environment, or ‘gymtimidation’. It was only when I joined for the last time, almost 2 years ago, that I managed to push through it and make working out part of my routine. Since then I’ve often thought about what was different this time round to enable me to stick it out in the long term. If I had to narrow it down and pinpoint what changed my perspective, I would put it down to 2 main areas. Firstly, take it slow. Every time I joined the gym when I was younger and it didn’t stick, it’s because I was expecting too much of myself too fast. I had this idealistic image that I would go in, be able to use every piece of equipment and do a full workout without feeling uneasy or intimidated. When I joined the gym this time round, however, I had a more realistic view of how to ease myself into it. Starting the gym when it’s something you’re not used to can be scary. I specifically remember saying to myself that it was ok to keep going for a while just to try things out and get into the routine, rather than feeling I needed to do some intense workout to justify going. This is where having a membership comes in really handy; if you’re paying for each visit separately, it’s much easier to feel obliged to do loads every time, which at the beginning may make you feel uncomfortable, and ultimately put you off going back. My advice if you’re serious about starting the gym would firstly be to get a membership. Then tell yourself that for the first few weeks or even months, you’re going to go to the gym a couple of times a week and just get used to the environment. Take your time with it, try something new out when you’re feeling brave, and just enjoy getting into the swing of things. Make your only goal for the first few months to be to literally just go to the gym and get into the habit. There’s no need to throw yourself in at the deep end; you’re winning by simply being there. The second thing that helped me actually came from a Derren Brown show I went to see, and has since had a huge impact in all areas of my life. This was the idea that ‘nobody cares about you’, and it’s not as bad as it sounds. The idea behind this is that everybody is so wrapped up in their own lives that they don’t actually care what you’re doing with yours. Similarly, everybody at the gym is so focused on their own workouts that they couldn’t care less what anybody else is doing. Ok, yes, there can occasionally be people who seem to care more about judging others at the gym than getting fit themselves, but if this is the case the joke’s on them. If somebody is too busy turning their nose up at what others are doing with their time, then they’re missing the point of going to the gym in the first place. I helped myself get into the ‘no-one cares’ way of thinking by looking at things from my perspective; I thought about how little I worry about what anyone else chooses to do in the gym, and realise that that’s likely exactly the same as everyone feels about what I’m doing. 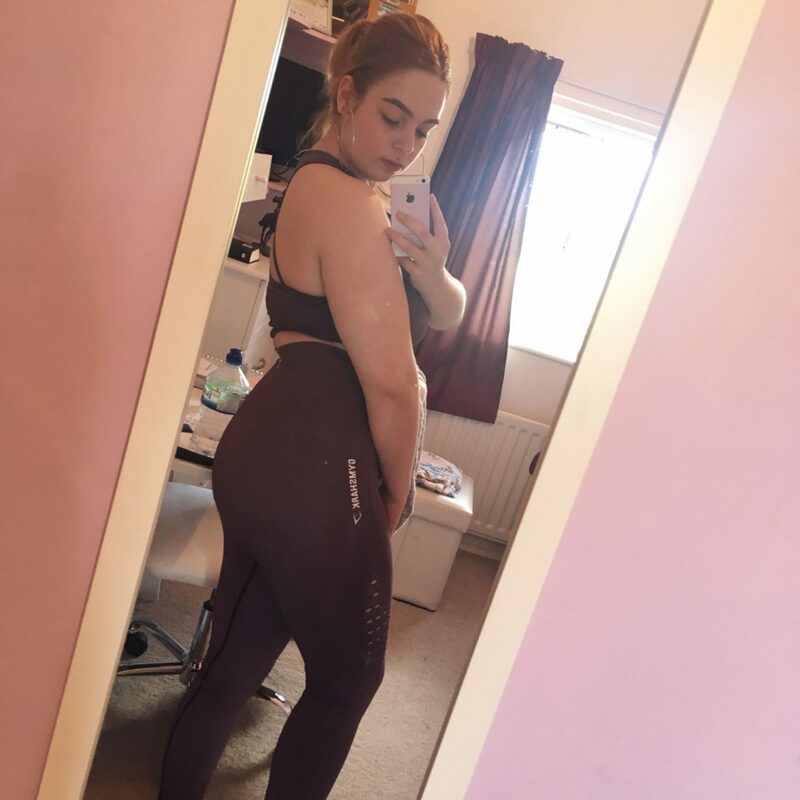 I lastly want to mention how much I would recommend joining a gym; it’s one of the best things I ever did for my mental and physical health and once you get used to it, it can be incredibly rewarding. And even if you find the gym isn’t your thing, any kind of exercise is beneficial, so find something you love and go for that! Whether it’s walking, cycling, horse-riding or a team sport, I’m a huge advocate for getting moving. Find the right exercise for you and you will honestly never look back.